Exporter of a wide range of products which include square root din rail type extractor and din rail type square root extractor. Pantech's Square Root Din Rail Type Extractor Module, model 836 is designed to provide linear output for the non-linear flow / equivalent type signal. 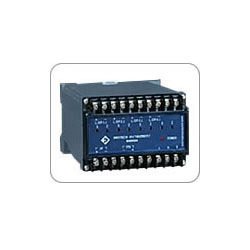 It provides an output of 4 – 20 mA DC capable of driving a load of upto 800. The input-output relationship can be defined as OUTPUT = SQUARE ROOT OF INPUT. The module accepts 4 – 20 mA DC signal from two wire and non two wire transmitters. The module also accepts 1 – 5 V DC signals. Output is a square root of the input. 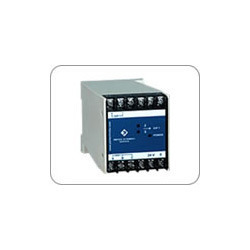 The instrument has a facility of TPS 24 V DC to power up two wire transmitters. In general version, the instrument is available in DIN RAIL version. The module is also available in Euro card format of 3U height and alternatively in a wall mounted housing. 20 Euro card modules can be housed in a 19” Euro card cage. The Euro card modules can be powered from 24V DC power supply whereas wall mounted modules can be powered from 110V AC or 230V AC too. Power supply is isolated from rest of the electronics.The modules incorporate low drift operational amplifiers and industrial grade components. Burn in of each module ensures long trouble free operation. Innovation is our forte and we strive to design and develop Din Rail Type Square Root Extractor. Advanced technologies and quality raw material are extensively used by the experts in manufacturing these products for their better development. Before the end delivery, these products are thoroughly checked by our quality controllers on varied parameters to ensure their flawlessness. Looking for Square Root Extractor ?